Are you looking for affordable entertainment furniture to enhance your family movie nights? At Squan Furniture, you will find an enormous selection of TV stands and media consoles, all at prices unmatched by any other business in the area. Want to find out more about the quality products we have to offer? Browse our entertainment furniture selection online or in-store today! TV stands are the perfect choice for people who like to keep things simple. These furniture pieces are compact and low to the ground, and they provide an open frame where you can prominently display your TV. 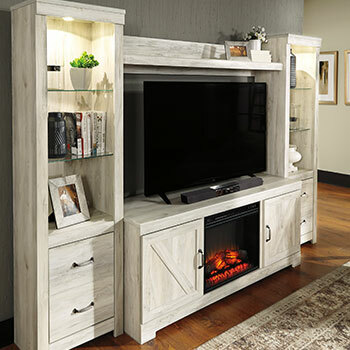 We sell contemporary TV stands with exposed shelving, and we also have more traditional selections with enclosed cabinets and storage drawers. Our TV stands provide space for all your entertainment basics without taking up too much room in your home. 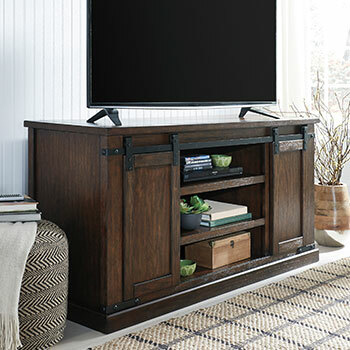 If a TV stand isn’t enough for your home entertaining needs, then we recommend one of our statement-making entertainment centers. These multipurpose furniture pieces provide form and function all-in-one. Each entertainment center includes a TV cabinet flanked by open shelving units, which you can use to display speakers or decorative home accents. They also include a series of storage cubbies and cabinets, which will help you keep all your consoles, wires, and cable boxes tidy and organized. 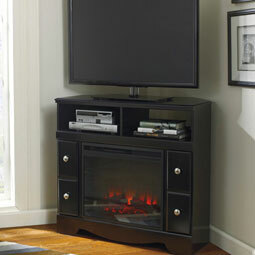 If you want to truly impress your guests, consider purchasing one of our fireplace media consoles. 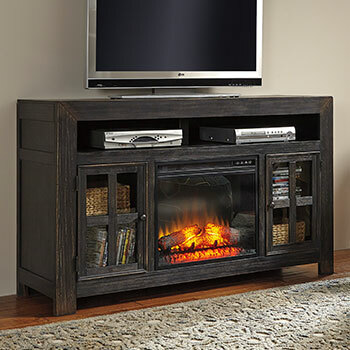 These furniture pieces provide the same useful features as our TV stands and entertainment centers, but with the unique addition of LED fireplace inserts. Just imagine, with a fireplace media console, you will be able to enjoy your favorite films right next to a warm and flickering fire. Are you ready to start shopping for your new entertainment furniture? 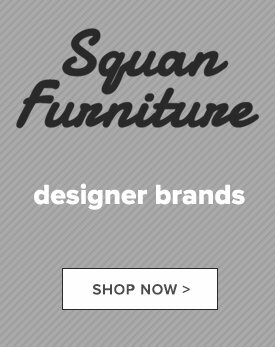 Stop by Squan Furniture today, where there are hundreds of affordable products waiting for you. 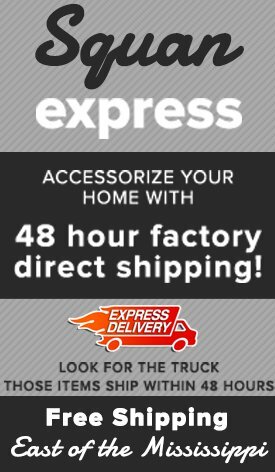 You can visit us in Ocean County or Toms River, NJ or at any one of furniture stores throughout the state of New Jersey.